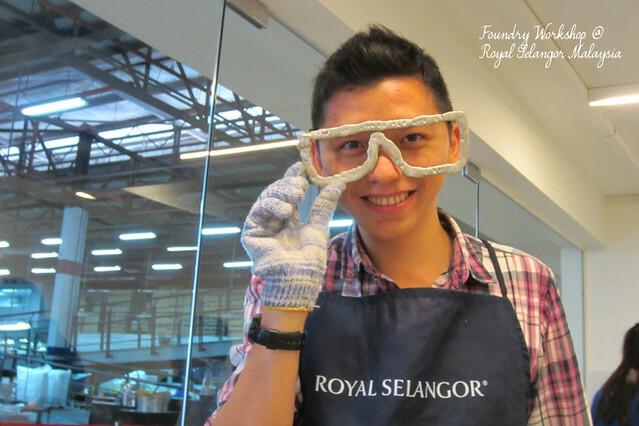 I had so much fun in Royal Selangor Malaysia that I have to break my adventure there into few blogposts =) So today, I happened to have good mood LOL I just realised that I haven't blog about the Foundry Workshop that I had participated last month. 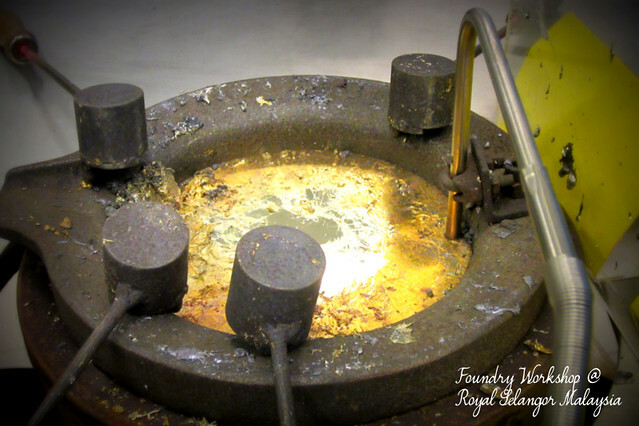 The foundry workshop is the place where we can have a hands-on experience in pewter making process. 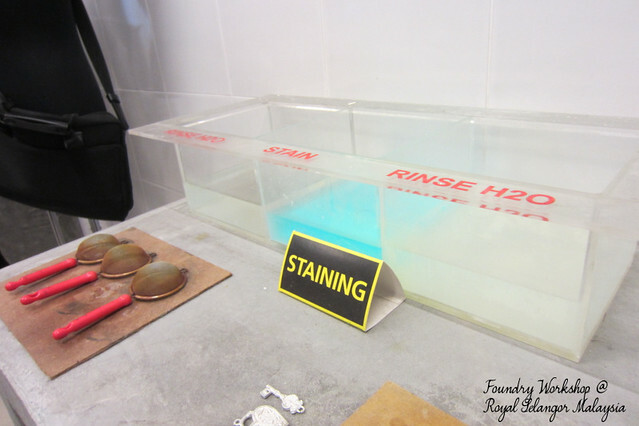 In this place, we are taught to designing, casting, polishing and decorating. Each step will be guided by an experienced instructor. 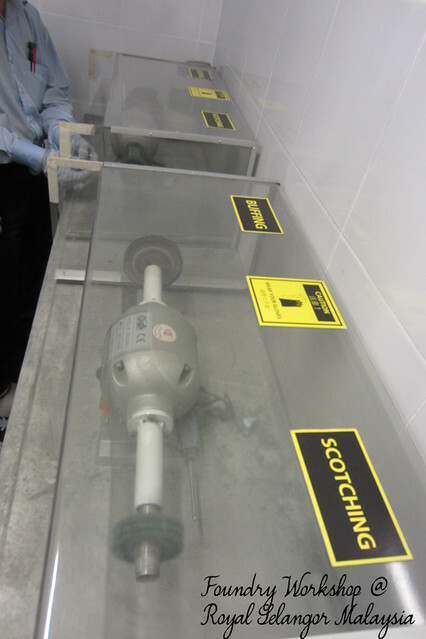 This place may be small, but it is well equipped with the needed tools. All you need to do is, know what to do, and you will be able to do it here. Why do I say that? Well, I was very excited to make something, but I didn't know what to do. 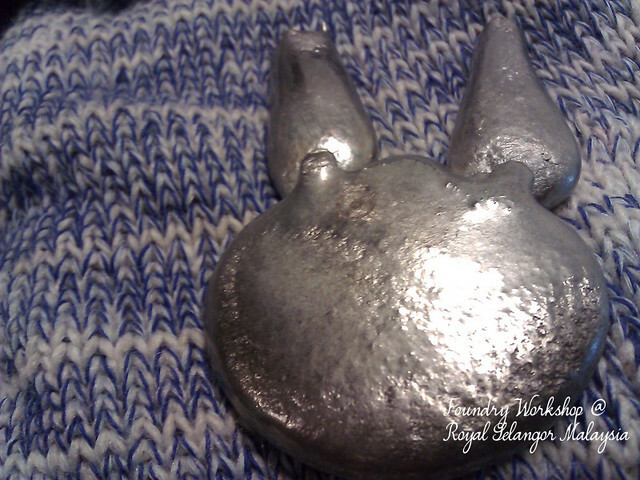 So ended up, I watched everyone designing and casting their pewter accessories and I was still lost. 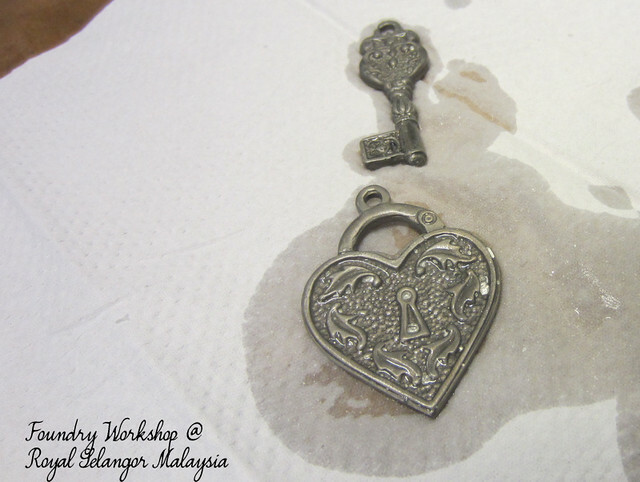 So, ended up Kampung Boy & City Gal (yeah, was in the workshop with them ^.^) starting creating this beautiful, antique-looking lock and key that I decided to make one myself too! In this workshop, I learn patience, how to control your arm strength in designing, and also how to execute your creativity. It's not really difficult, there are some rubber pads that is pre-designed and all you need to do is pour molten pewter in, wait for it to cool down and ta daaaa, your magic is casted! 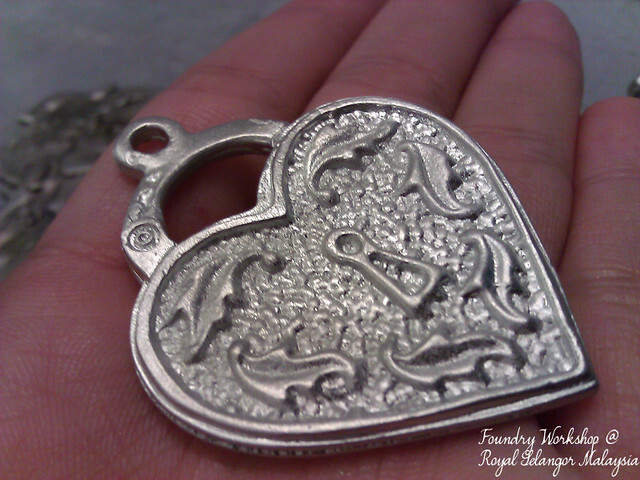 So here's the "heart lock" that I prepared myself! Besides making beautiful state of art designs and structures, I scribbled my name too! Besides writing alphabets, you can also draw out your favourite object. 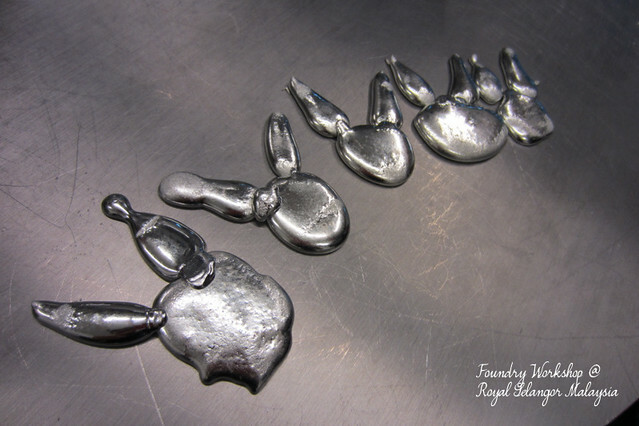 This are the "rabbits" Redbuttockz Wern designed. At the end of the day, we all went home richer in experience and a souvenir. It was really fun, something enlightening for me because it brought me back to my childhood where we spend time crafting, or playing with something and see the end-results. 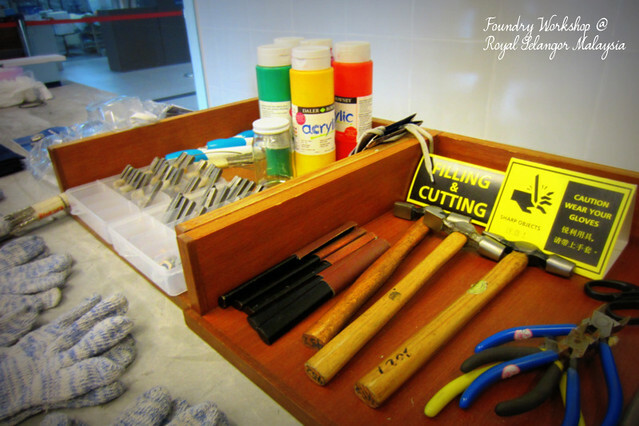 The Foundry Workshop is held in Royal Selangor Malaysia Visitor Center (Setapak) with a fee of RM150 for 60mins session. You can read more or book for a session via it's website here. 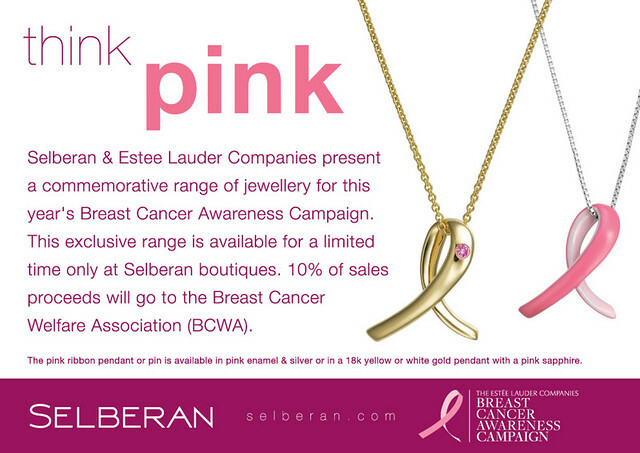 Let us do all we can to boost Breast Cancer awareness amongst men and women alike! gosh! nice experience! and the heart lock look amazing! Random Updates! A Hair Dye For My Black Hair!